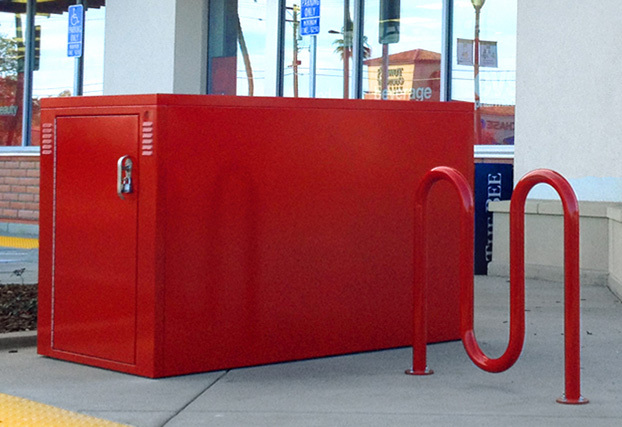 Dura Bike Locker is the leading designer and manufacturer of high quality metal commercial bicycle storage lockers. 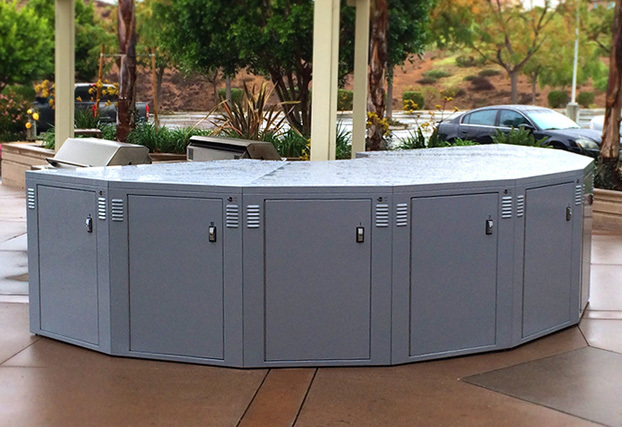 Made in America, our lockers are ideal for parks, office buildings, train stations, parking garages, universities and other bike-friendly places. 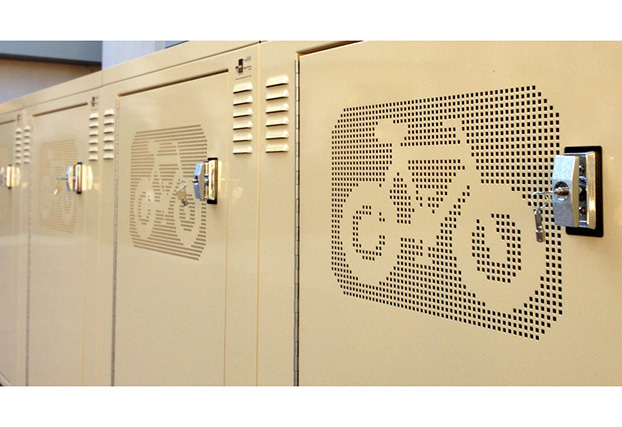 Dura Bike Lockers can accommodate two standard bicycles and include space for helmets, clothing and other accessories. Each unit can be installed indoors or outdoors to protect bicycles from weather, vandalism and theft. 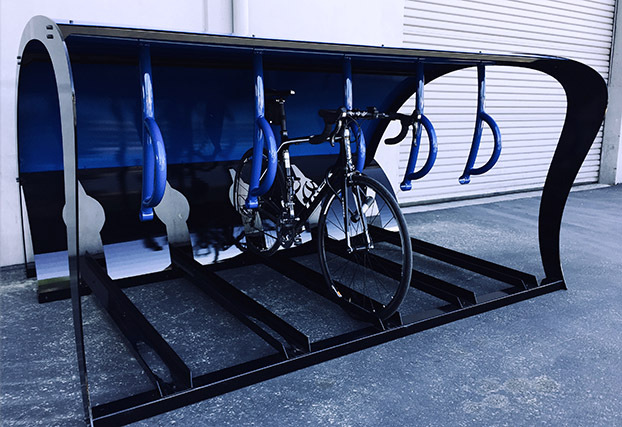 We recently developed the first-of-its-kind integrated Bike Shelter Rack®™(pat. pending). 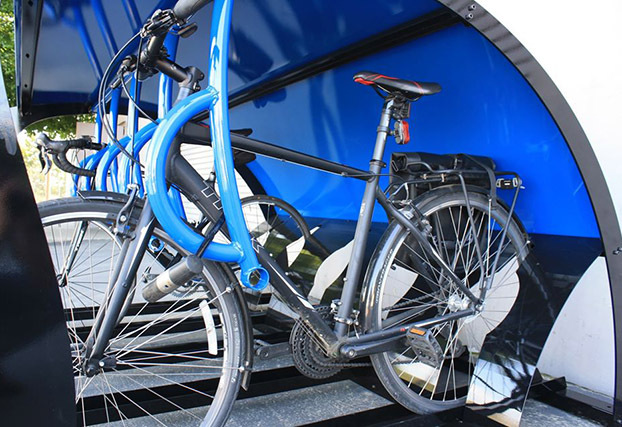 Our innovative design is the first bicycle rack ever to offer short term bicycle parking with long term security features.